Chose one piece of paper to be your basket. 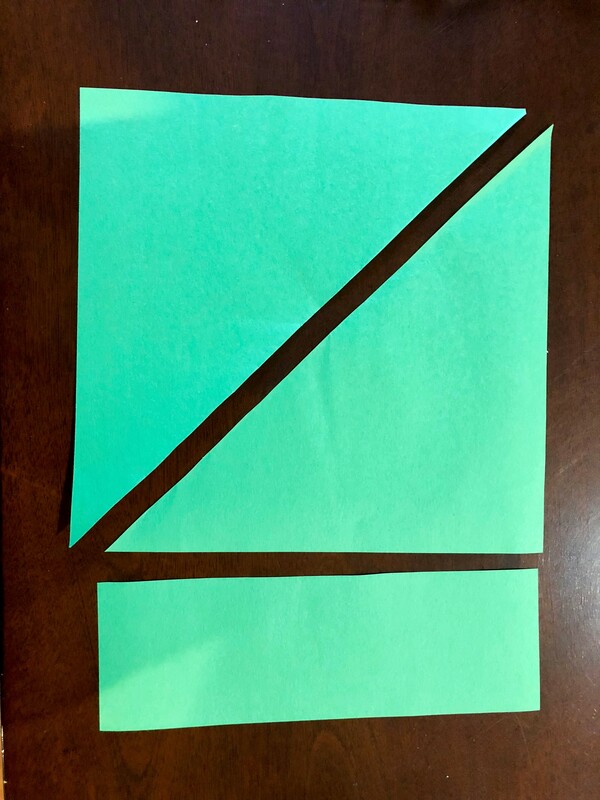 Grab one corner of the paper and fold it over to align with the other half of the paper. 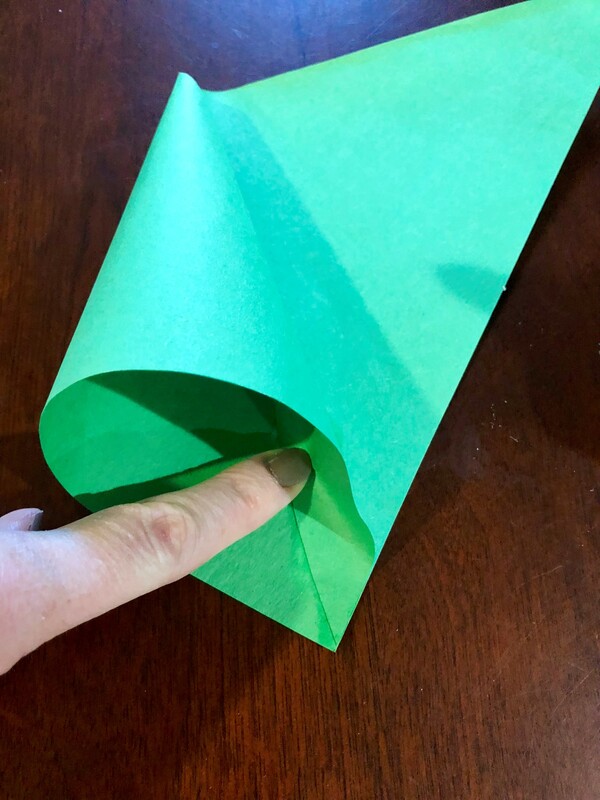 Cut off the bottom edge of the paper and cut on the fold. Don't throw away any of these shapes because you will need them to create your basket. To make the basket, you will explore how a 2D shape can become a 3D shape. 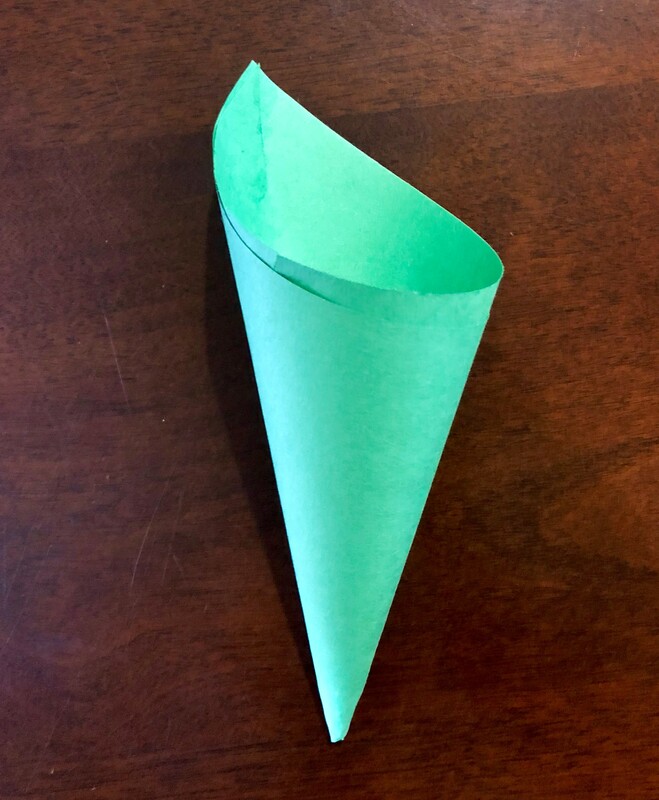 Using one of your triangles you will create a 3D shape called a cone. Begin by wrapping one corner of your triangle to align with the center point (see image). Add glue to the corner and hold down until dry. To complete the cone, add glue to the final corner and wrap it to align with the center point. Hold until dry. Once complete, this will be your basket to hold your May Day treats! 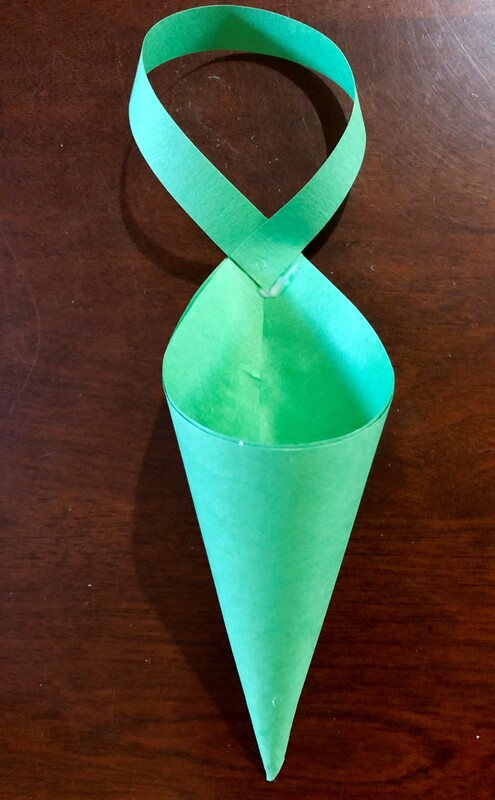 Using the thin rectangle, create a hook by gluing the ends to the top of your cone (see image). This will allow the basket to hang on a doorknob. 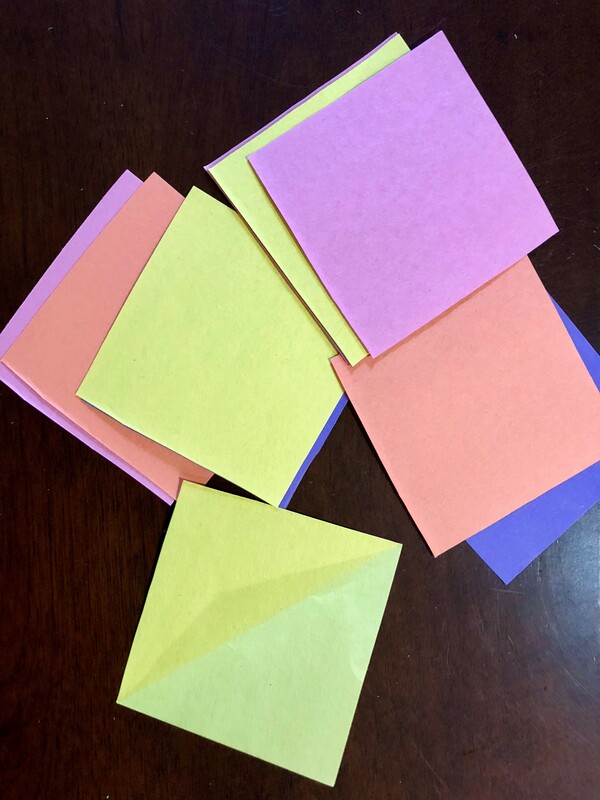 Using the remaining colors of construction paper, cut out 2” x 2” squares. Talk about the differences between a square and a rectangle. Did you know, a square is always a rectangle but a rectangle is not always a square? To be a square all sides must be equal in length. 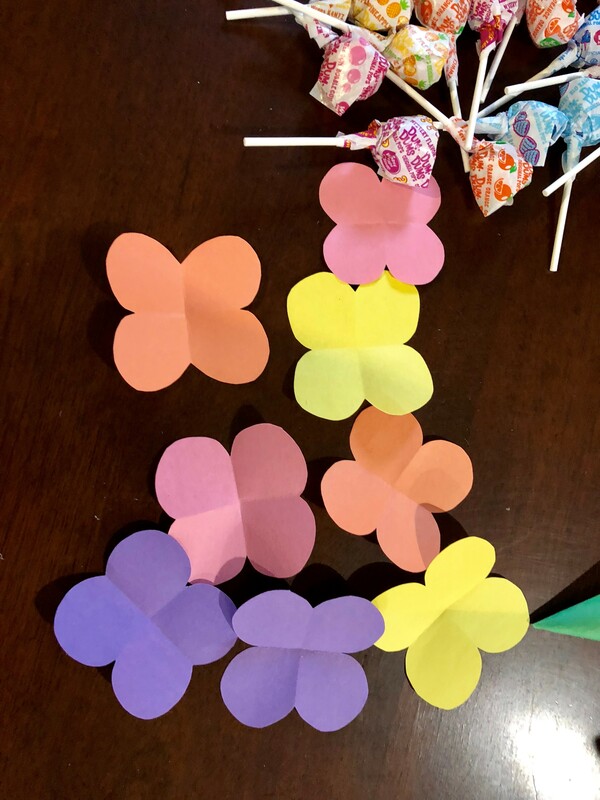 Use each of your squares to create the flower petals. Fold a square in half two times and round the edges so that it creates a circle (make sure you do not cut the center fold). Unfold and reveal your petals. 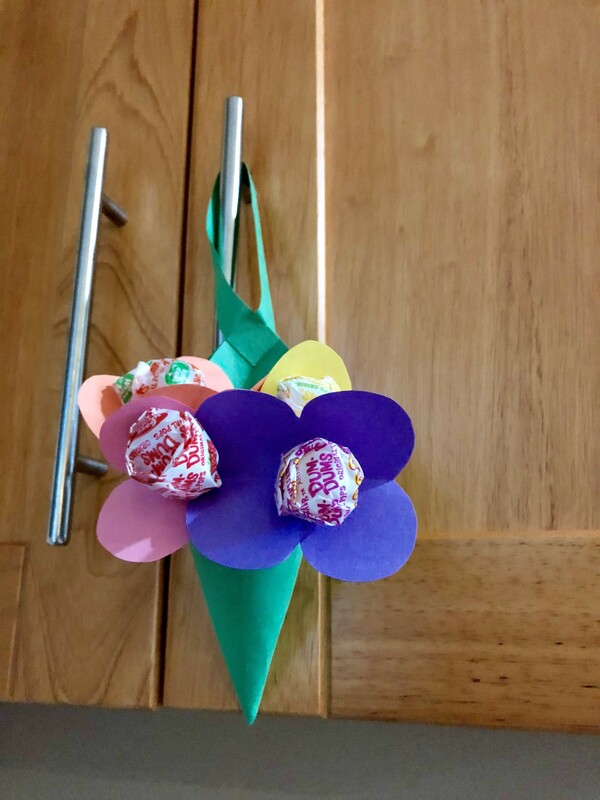 On May 1st, hang your May Day basket on a friend’s door, ring the doorbell, and see if you can get away without getting a kiss! 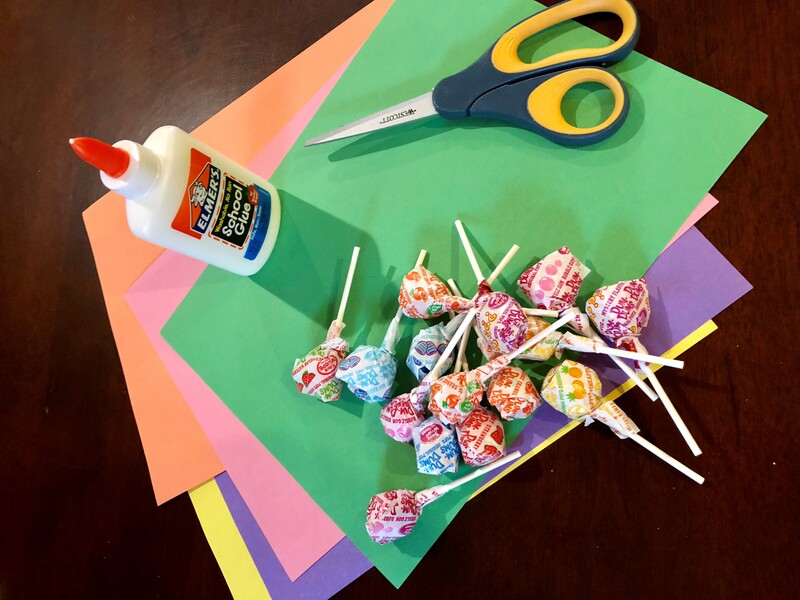 Posted in Teaching Tips, Tie Art into Literacy and tagged art, early literacy, math extension, teacher tips.